In sad, but not really unexpected news, we've learned that Dora will not be returning to Tompkins Square any time soon. Her wing injury has not healed as quickly as we'd hoped, and she is still in the care of Wildlife in Need of Rescue and Rehabilitation (WINORR). 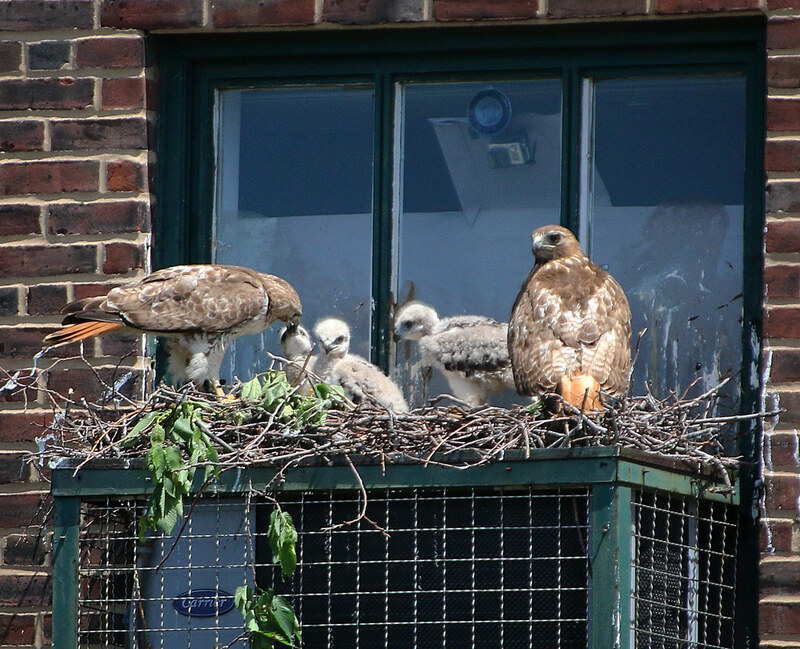 The injured female hawk from Tompkins Square Park is not where we hoped she'd be by now. Although the x rays were negative she had a serious bone infection requiring medicating and rest. Her still drooping wing may be permanent from either tendon, ligament, and or nerve damage. Those concerned about her possible return to her mate Christo for the upcoming breeding season that is not possible at the stage she's at. We are not giving up on her it may take months of exercise to regain her full flight so for now she must stay put and hopefully make great improvement needed. To recap, Dora suffered a wing injury around November 30, 2017. She was found on the sidewalk of Avenue C by the NYPD on December 4 and was taken to the Animal Medical Center for treatment. Although she did not have any broken bones, the injury was infected and she was taken to WINORR for rest and recovery. 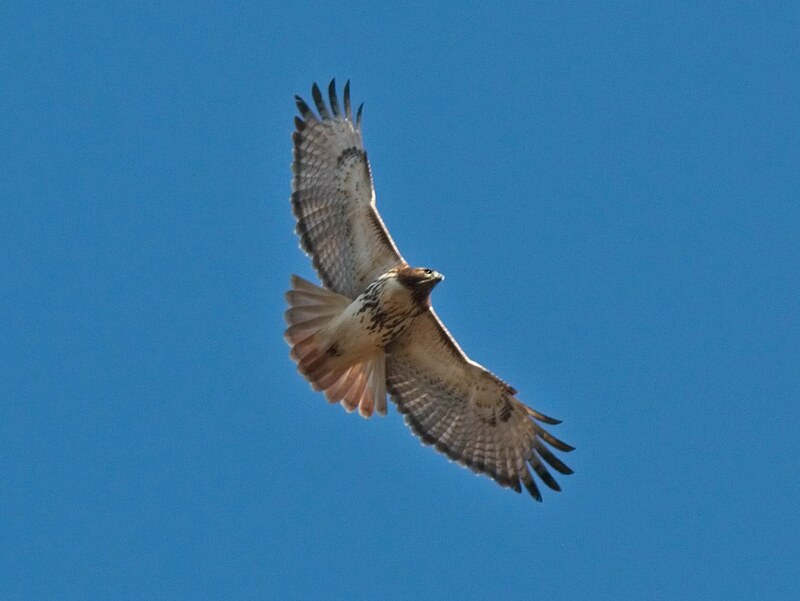 Meanwhile, a new female red-tail (Nora) suddenly appeared in the park as soon as Dora left. 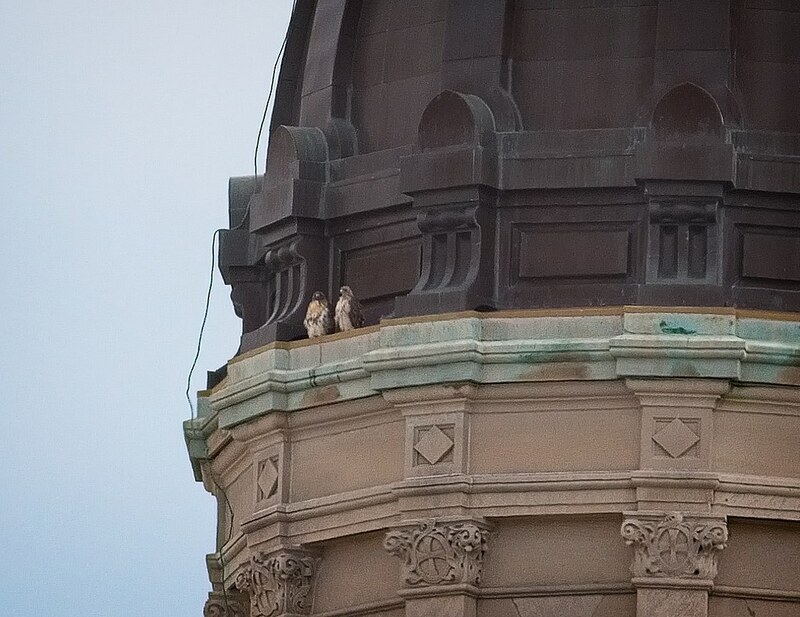 This female appears to have been accepted by Christo, although I have not seen them demonstrating any bonding activity yet except perching near each other. He has been working on the ginkgo tree nest by himself. As breeding season is just starting up, it looks like it will be up to Nora to decide whether or not she'll stick around. 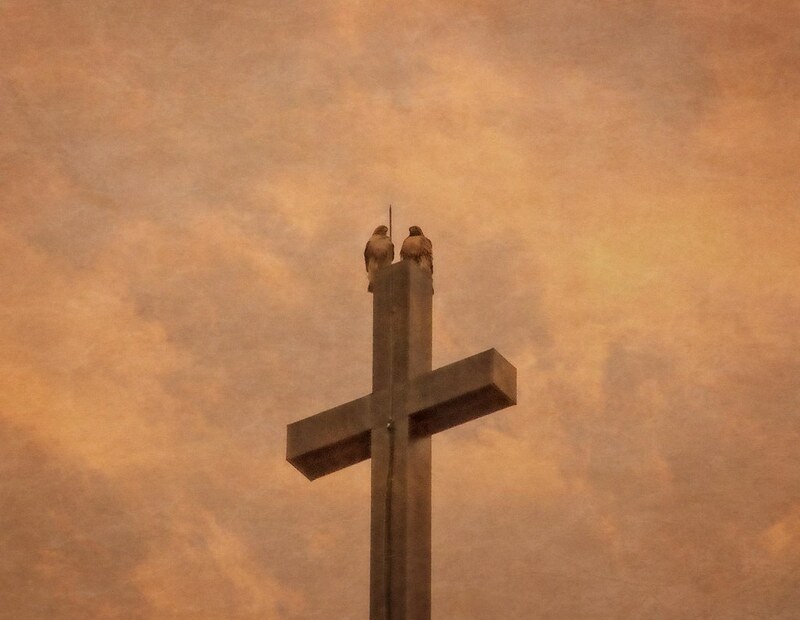 Seeing Christo and Dora separated really breaks my heart as they were a really fantastic pair, working so well together to successfully raise 11 kids (10 natural and 1 adopted) over the last four years. This is the last photo I took of Dora on November 22. At the time, she was chasing an intruding hawk out of the park. 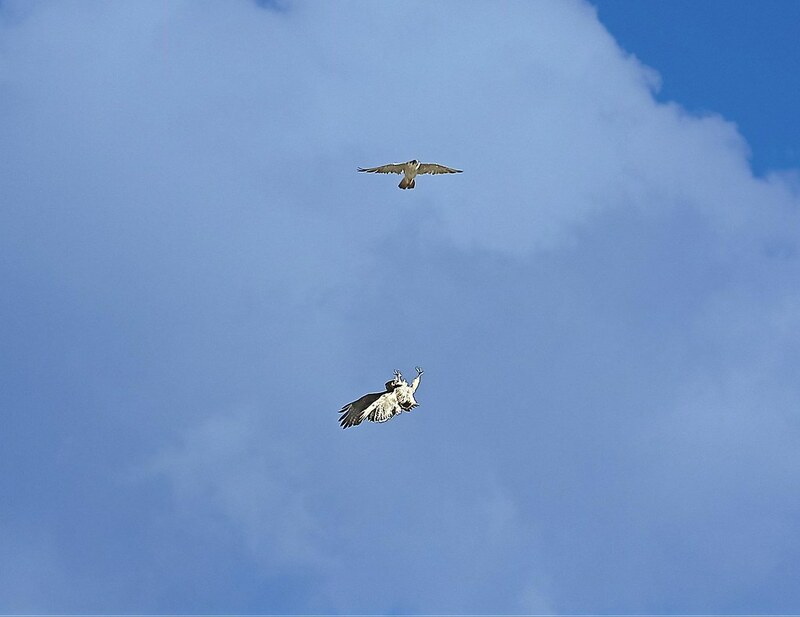 This is one of my favorites from November 2015 as it shows Dora challenging a Peregrine falcon, upside-down and talons out. 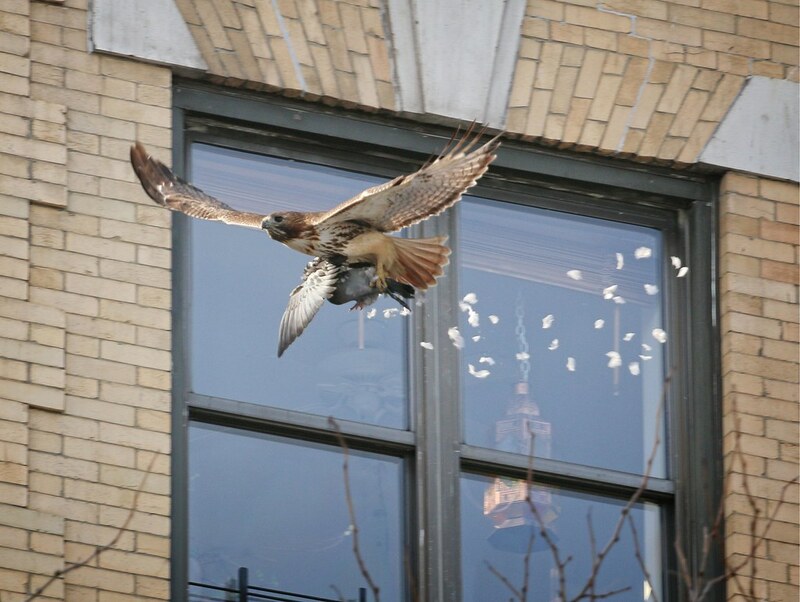 Another favorite is when she surprised me by snatching a pigeon right out of the air over Avenue A. 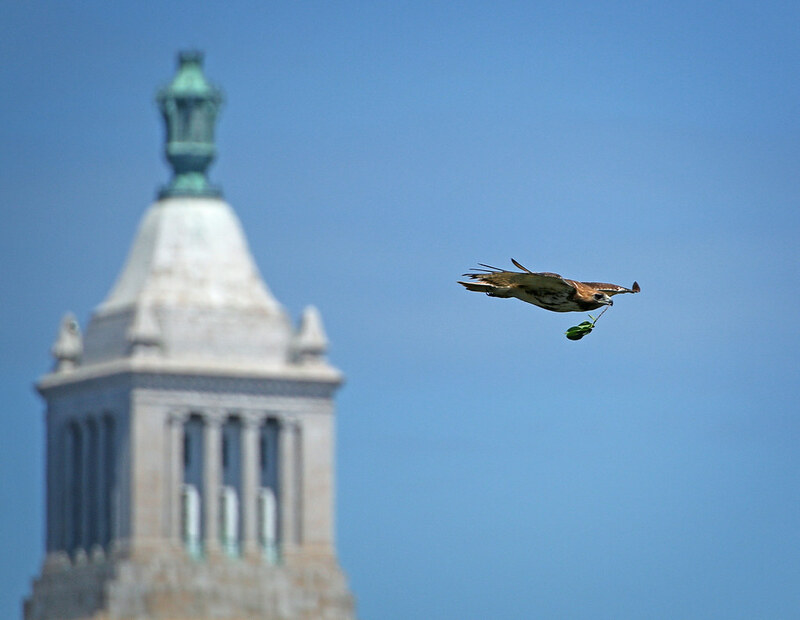 Here she is taking fresh leaves to the Christodora nest in 2014. 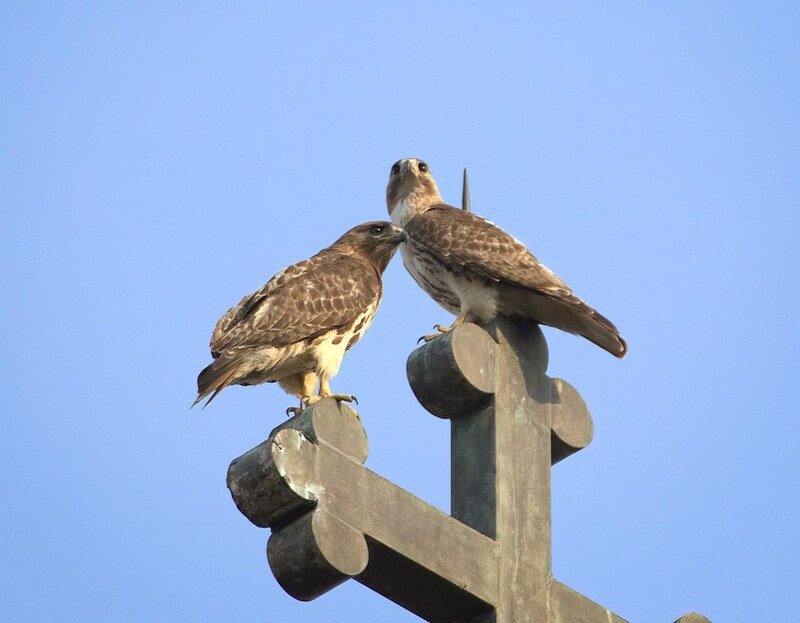 I will miss seeing Dora and Christo perching together, the power couple of the Lower East Side.